Why did one company execute bludgeon his wife to death before then driving to his death into head on vehicles? 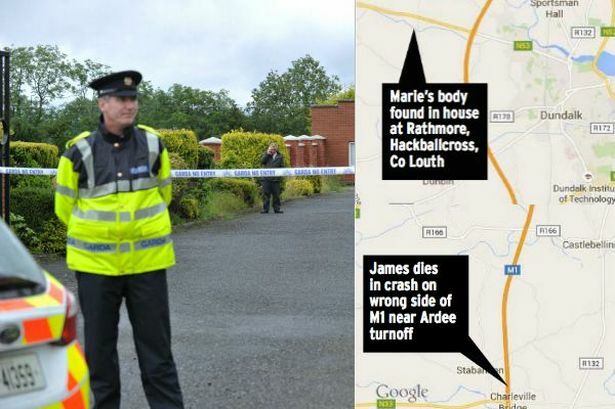 James Quigley a Co Louth, UK father of four is thought to have killed his wife, Marie in their upstairs bedroom before driving head on into M1 traffic the wrong way and killing himself after ploughing into two other vehicles. 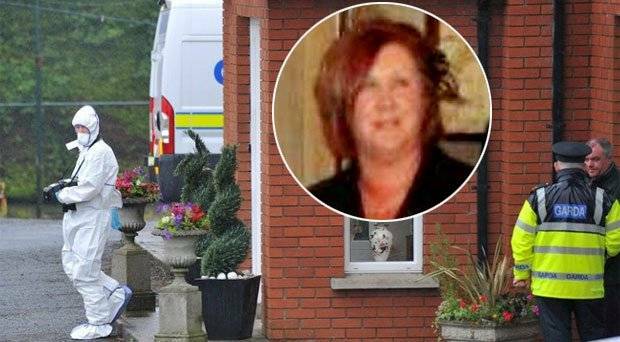 The Louth murder suicide has since rocked the normally sleepy town, with family and friends trying to understand what led to the 69 year old husband to dramatically end his wife’s life and his own? The 68 year old woman’s body was discovered after one of the couple’s children, Kieran Quigley had gone to meet his father, but instead found the house quiet and the upstairs bedroom locked and curtains drawn. The son then called his cousin to help him break down the bedroom door, leading to the pair finding the body of Marie Quigley, who had suffered serious head injuries. Soon after authorities arrived at the house to alert occupants that James Quigley had just died in a massive head on collision along the M1. Three other people involved in the crash were taken to hospital with non-life-threatening injuries. At the time arriving authorities had been unaware that Marie Quigley had just been beaten to death. According to local reports, the father, a company oil director was known to be ‘quite friendly’ but was also known to have battled with mental health problems for many years. It is understood the couple, both well into their 60’s, lost a young son in a drowning tragedy more than 20 years ago. Local priest Fr Gerry Campbell said: ‘It comes as a huge shock to the community and we cannot even begin to imagine what the family are going through at this time. Louth County councillor Declan Breathnach said the deaths were ‘a terrible tragedy and a terrible loss to the community’. Post mortems will be carried out at Our Lady of Lourdes Hospital in Drogheda today.